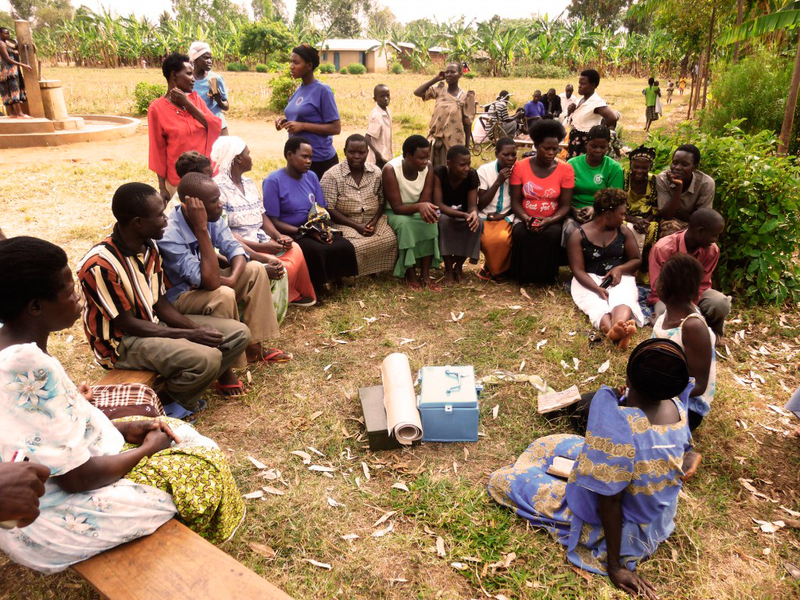 Communities for Development was created in 2014 to support rural communities in Uganda achieve sustainable growth and reduce poverty by improving their financial ability to cover their basic needs. To achieve that, we provide training in microfinance and business creation to give them the necessary tools and knowledge to make better use of their money. We make this happen by creating saving groups and providing training in income generating activities. The benefits of our programmes are not only financial but have a wider impact. Weekly meetings and training strengthens the community. Those who have successful businesses also reach out to help others. People with an improved income can reduce reliance on the land and natural resources and can attain better homes, a better diet, better health and better opportunities; a virtuous cycle that improves the quality of life of the individuals as well as of the community. Provide financial tools and training to allow rural communities to save and invest in their families and help grow a class of entrepreneurs who can drive economic development. Improve people’s ability to secure the necessities of life – food, shelter, clothing – and be resilient against shocks. Help our members, particularly women and young people, gain the skills they need to save their money effectively and run successful businesses. Seek to limit the negative impacts of climate change on the livelihoods and natural surroundings of rural communities. We believe in long lasting improvements that enable individuals to be owners of their own development. We believe that in order to be successful we must build strong partnerships with individuals, businesses and other organisations working with the community. Due to our small, dedicated and results-oriented team, all donations contribute directly to delivering projects in Uganda. Use the ‘Village Saving and Loan Association’ method to set up locally-led, transparent and democratic saving groups where members can save and borrow in a safe and convenient place. Once saving groups have matured, we support members to leverage their skills and saving to develop income generating activities. Many of our members are saving and starting businesses for the first time – we provide training to help them gain the skills they need to save their money effectively and run successful businesses. Through gaining skills and knowledge, savings group members can save their own money, develop ways to earn their own income, and be able to support themselves and their village independently and autonomously. Much more than providing a financial tool, through training, collaboration and knowledge sharing, the savings groups empower, inspire and open up new possibilities for their members. The central role women play in the groups also helps to challenge traditional gender roles, strengthen women’s place in the community as well as provide a path to economic freedom.